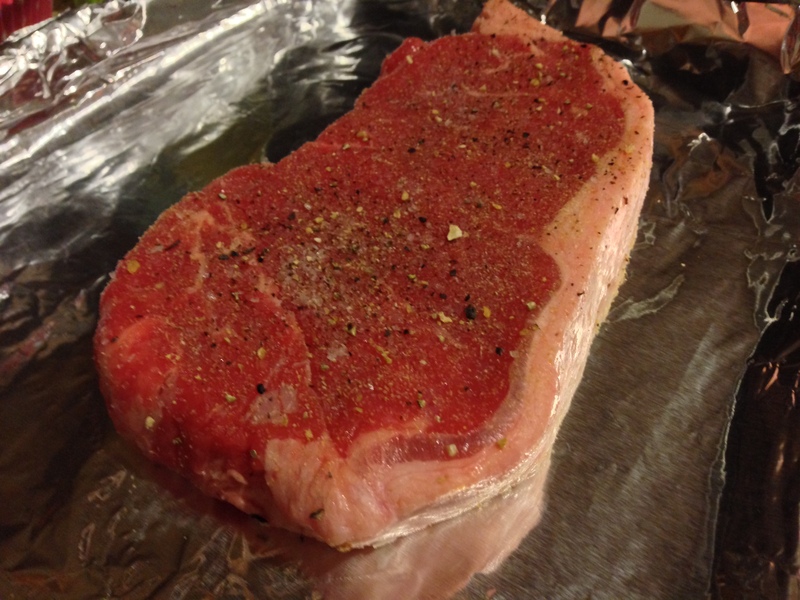 My husband has been talking a lot about a video that he saw online where a steak was baked before grilling. 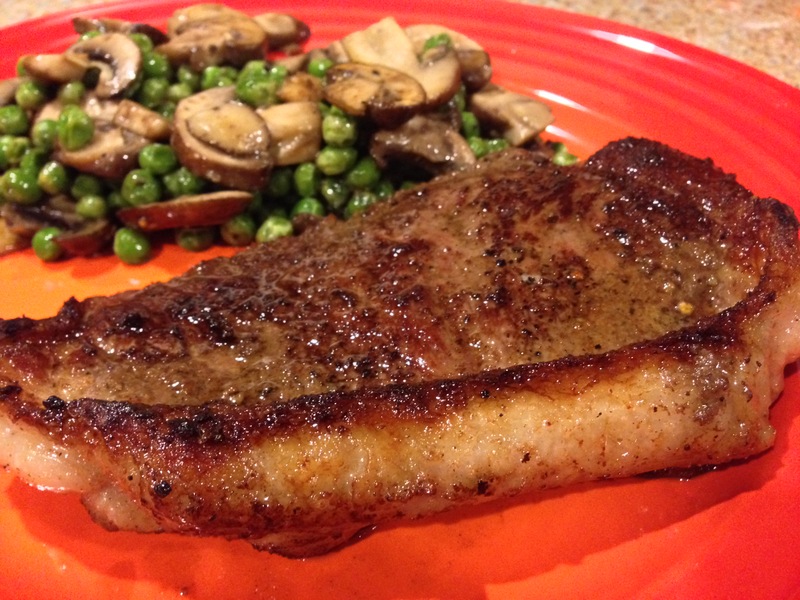 Typically, a steak is grilled then placed into the oven to finish cooking. Then, it rests and we all eat it. Delicious! Well, this viral video suggests that we bake the steak first at 275 degree Fahrenheit and let it rest… then, sear it on both sides and eat (immediately). Seems completely counter-intuitive… but definitely worth a try. So, I thought – let’s do it! 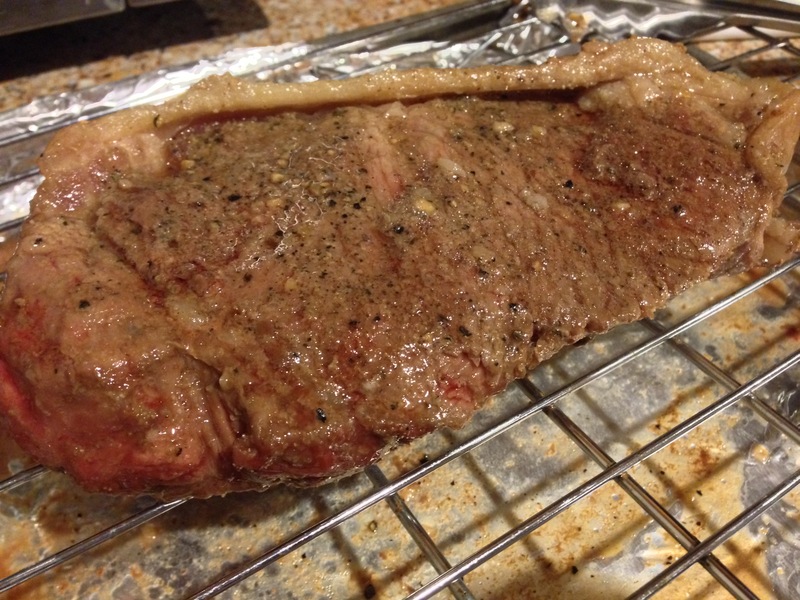 I turned my convection oven to 275 degrees and placed the steak on a pan (as shown above). In the video, they recommend putting the steak on a grate in the pan so the juices drop down but I didn’t have one that would fit. After about 30 minutes, I tested the steak and it was 125 degree Fahrenheit (as the video recommends). It was now time to let the steak rest. At this time, I did put it on a grate (which was too large to originally go in the convection oven). After 10 minutes, I decided it was time to sear. I turned the heat up on my cast iron pan and added some canola oil. Now, give this searing a listen. It’s a beautiful symphony. 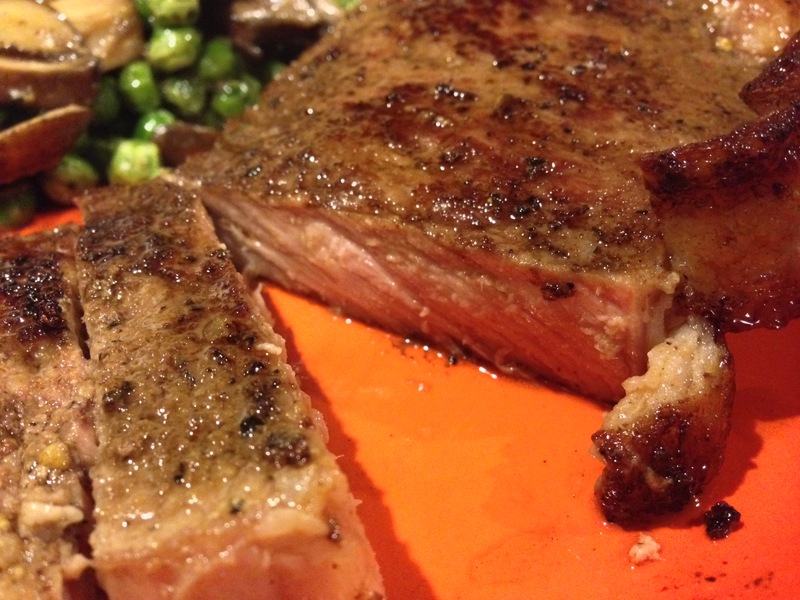 I seared it about 1.5 minutes on each side and then decided it was time to eat. They did say I could dig right in! The steak was really good but it was cooked more than medium rare. I’d say the steak was at medium to medium-well. It was a faint pink the center. I’m wondering if the the size of the steak may matter with this technique. Overall though, I really liked the crust and the steak was really juicy. It tasted great. Just wish I could have gotten the temperature closer to medium rare. This was fun to test 🙂 Let me know if you give this technique a try!